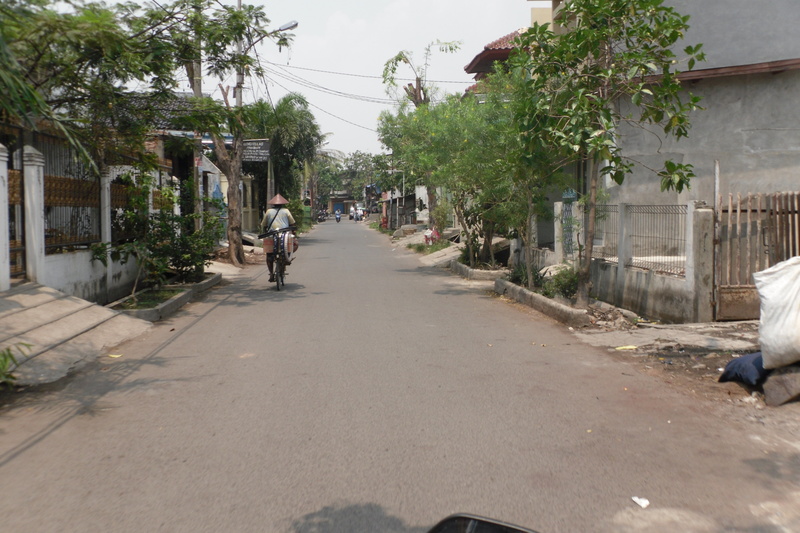 In mid-July when I found out I was going to be working with VisionFund Indonesia (VFI), I began stalking kiva.org waiting for VFI borrowers to appear so I could show my support by lending. I was really excited to start ‘investing’ in the people I’d be working with! You’ll notice that because VFI is in Pilot phase with a low funding limit, they currently only have around 10 loans posting each month. 1) Borrower Profiles- includes the stories and photo that inspire me to lend to a certain borrower. It’s what gives me that ‘personal’ connection to the borrowers and enables me to imagine how the loan will make a difference in their lives. 2) Journals- updates from the borrowers, typically towards the end of their loan, that lets me know how the loan has impacted their lives and their hopes for the future. I can use journals to compare the impact I had imagined the loan would make in their lives to the impact that actually transpired. 3) Repayment Day– when I have enough money back in my account from repayments to re-lend to another Kiva borrower! This also reassures me that my borrowers’ businesses must be at least somewhat successful because they are making timely repayments. The combination of these three comprise the social return of my portfolio and the reasons I (as well as many other Kiva lenders) keep coming back to make additional loans. They are what make me feel good about helping someone across the globe have the opportunity to help lift themselves and their families out of poverty and/or improve their lives through microloans. They are why I Kiva. I hadn’t imagined that I would be able to experience a 4th component to my Social Return: actually meeting the borrowers to whom I had lent money. I wondered how this 4th component would impact my lending practices in the future. For you mathematicians out there, what’s the probability that out of the 43 VFI borrowers that were on Kiva.org at the time a random sample of 10 borrowers was drawn for visits that I would need to make, one of the selections would be one of the three groups I had lent to? Well, obviously good enough that it happened! Imagine my excitement when I received my Borrower Verification (BV) sample and saw one of the groups in my Kiva portfolio! (For more about what BV is, see a great post here). From the back of a motor bike during the BV journey. It was my first day performing my BV and I was excited, after being in Indonesia for over 2 weeks with VFI, to finally get to meet with Kiva borrowers. What I was mostly thrilled (and a little nervous) about was meeting the group I had lent to, Manggar Baru Group, and their group leader Karsinah. I thought back to what went through my mind when I was deciding which VFI group to lend to. What I loved about her story was that this was her first loan with VFI. 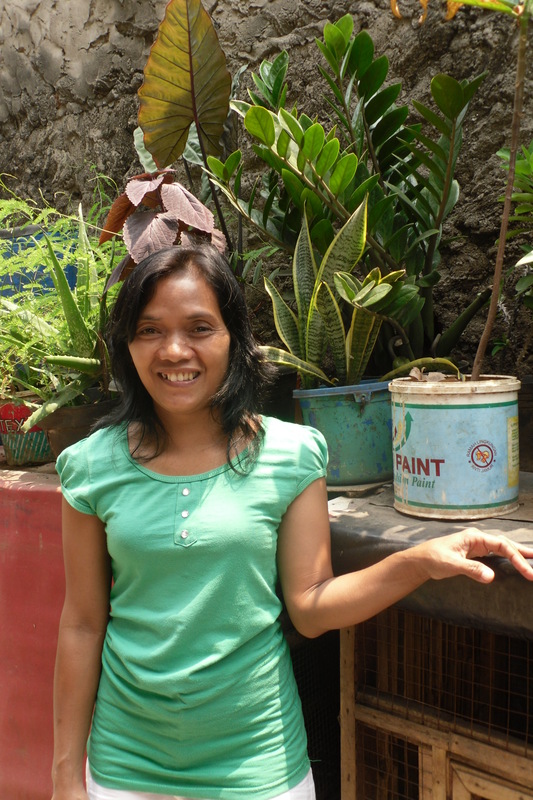 I liked knowing that I could be a part of her first experience in the world of microfinance. Three of the five group members welcomed me into a modest home. Often, the borrowers are embarrassed about their homes and borrow a nicer one from their neighbors when they have a group meeting or know the loan officer is coming to collect repayments. They were a little apprehensive at first as to why the foreigner was here for a visit, but once the BV was explained by the loan officer they relaxed. They showed signs of excitement when I showed them a screenshot of their profile that was on Kiva.org and all of the lenders from around the world that had contributed to their loan. When I pointed out my picture they smiled, chuckled, and thanked me for my share in their loan. Discussing the loan with group members. Upon initially taking out the loan, Karsinah had specified that the loan would be used to start a business selling side-dishes. Indonesian side-dishes include snacks such as krupuk (Indonesian chips), peanuts, fried bananas, fried tofu, fried tempeh, etc. As part of the BV process, I spoke with Karsinah about what she had actually used her Kiva loan for. She responded with that it was used to pay school fees and for uniforms for her children, and for inventory for her side-dish business. As Chris discussed in his post Loan Use: Not As Simple As You Might Think, these loans often aren’t used to solely pay for the business but, “all of the money [a] family receives, including Kiva funding, goes into a single pool from which they continually draw to improve their lives in myriad ways.” Karsinah’s loan began at the time of year that school was beginning and the first month of school fees were due. The family needed money for those and uniforms so their children could attend. For me, as long as the loan is being used to improve the borrower’s life in a sustainable way, it is less important if she spent 100% of the funds on her stated loan use in her borrower profile (as long as the repayments are honored). With the help of this loan, two children are learning in the classroom as I write this. This visit was the ultimate social return on investment and I wish all Kiva lenders could share in the joy I felt hearing about the families and businesses of the women in this group! And the answer to my question earlier of how this would impact my lending in the future? It solidified my desire to continue making loans on Kiva indefinitely. Entry filed under: Anti-Poverty Focus, Facilitation of Savings, Indonesia, KF16 (Kiva Fellows 16th Class), KF16 (Kiva Fellows 16th Class), Social Performance. Tags: Anti-Poverty Focus, blogsherpa, Facilitation of Savings, Kiva, Kiva Fellows, kiva microloans, kiva.org, microfinance, social performance, VisionFund Indonesia, www.kiva.org.. I love this story, it is such a unique experience to get to actually meet one of the people you lent money to. Thanks for sharing this! For me, as long as the loan is being used to improve the borrower’s life in a sustainable way, it is less important if she spent 100% of the funds on her stated loan use in her borrower profile (as long as the repayments are honored). I totally agree with you on this point. Actually, that’s one of the main implications I wanted people to take away from my post on loan use (thanks for linking!) We, as Kiva lenders, often decide who to loan to based on the borrower’s “story” (i.e. profile and loan use), and if that story suddenly changes, it can be upsetting to some lenders. But in the end, the real goal of Karsinah’s loan was to help her make sustainable improvements to her family’s way of life. If she was able to accomplish this, do the precise details really matter? Laurie this is so well written and informative. I like how you broke down the many social returns of Kiva lending!